A world where conscious movement and dance ignites creativity, community, social justice, health and well-being. Open Floor NZ is a satellite of Open Floor International which is a creative collaboration of seasoned movement teachers from all corners of the planet. Most of us grew up on the dance floor with Gabrielle Roth and consider her one of our most honoured teachers. We have also studied with many other brilliant pioneers of movement, meditation, body psychotherapy and healing arts – and been deeply informed by their radical, grounded wisdom. What are the core principles underlying all conscious movement disciplines? What is our common ground? 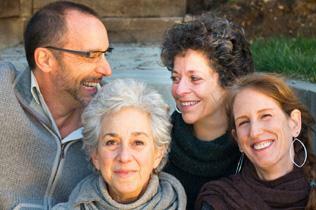 Vic Cooper, Kathy Altman, Lori Saltzman, Andrea Juhan, Ph.D.